Do you want to begin your next hobby as an outdoorist and you are looking for the new camper for sale or used Airstream for sale that is going to be able to allow you to start that new hobby or lifestyle? Are you not really all that sure of where to look for your next camper? No matter your experience level, whether you are a beginner or an experienced camper, you can find your new Airstream for sale or used Airstream trailer for sale right here at your local Ewald Airstream of Wisconsin in Franklin, WI! 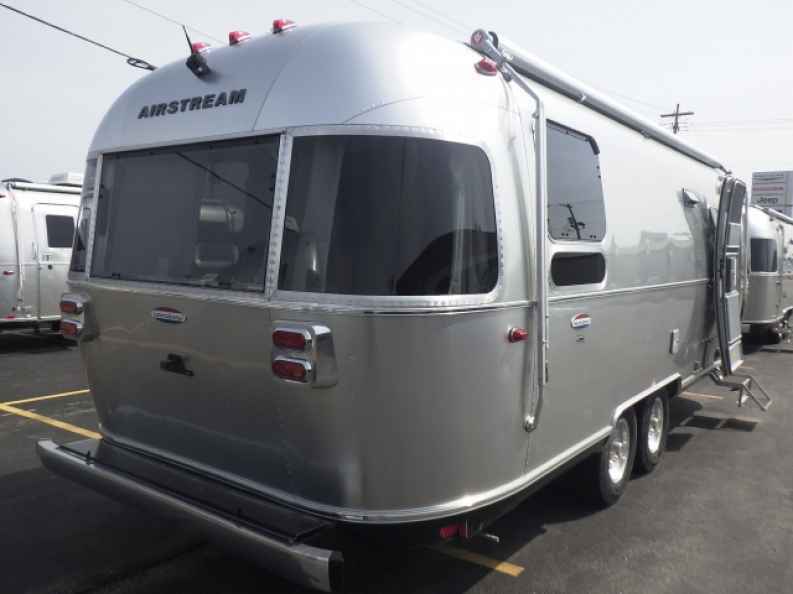 You can find a vast and impressive inventory of Airstreams for sale right here at your local Airstream dealer in Wisconsin that provides you with all the options you need to be able to choose from to find the trailer that is going to contain everything that you need as well as everything that you want. You are sure to find the new Airstream for sale or the used Airstream trailer for sale that is going to fit you the best at your local Airstream dealership as our friendly and knowledgeable team is here to guide you through our inventory and show you the ins and outs of each model that interests you and answer all of your questions along the way to find the trailer that is going to fit you, your needs as well as your budget like a glove thanks to Airstream Financing! Come by your local Ewald Airstream of Wisconsin in Franklin, WI and take a look at our new Airstream Flying Cloud for sale with Airstream Financing and see what the lifestyle is all about! 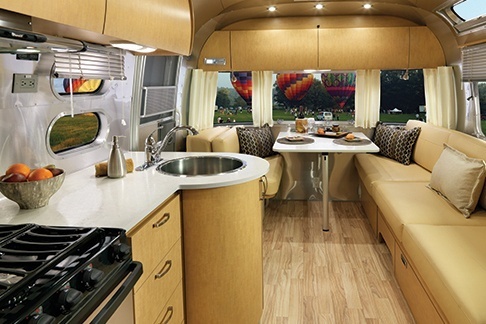 With a length of 25-feet, an exterior width of 8-1/2 feet, and an interior height of 6'-8", you will have no worries about feeling cramped inside of your new Airstream camper with plenty of room for you and all your fellow campers to move around inside comfortably. Inside you can expect to find great amenities such as the full kitchen with electric stove, microwave, sink, and refrigerator, as well as a full wet bathroom and being supplied with a 39-gallon fresh water tank, you have no need to worry about running out of water on any of your adventures. You may forget that you are not staying in a five-star hotel out in the great outdoors and not a Airstream travel trailer for sale from your local Airstream dealer. Stop into your local Airstream dealer of Ewald Airstream of Wisconsin and take a look at all of our new Airstreams for sale and our Airstream used inventory today and meet with a friendly team member at Ewald Wisconsin to take you for a guided tour through the model that you love and show you all of the details to find out what it's all about. Ewald’s Airstream of Wisconsin is located at 6319 S 108th St in Franklin Wisconsin 53132.